The Chinese Restaurant Awards is launching the Signature Dish Dine Out Festival where the public is invited to sample award-winning Chinese signature dishes in a “dine-out” festival setting. Created and organized by Chinese Restaurant Awards, the Signature Dish Dine Out Festival is the first of its kind in North America. It will take place between Nov. 1 and 18, with 11 restaurants in Richmond, three in Vancouver and four in Burnaby participating, each offering different exclusive menus designed and prepared by top local Chinese chefs. Diners may choose from menus for 4 people at $100, menus for 6 people at $150, or menus for 10 at $300, and find out about the online at www.ChineseDiningGuide.com. To participate, diners may simply call or make reservations at the participating restaurants and make note of their desire to try the Signature Dish Dine Out Festival’s menu. Signature Dish Dine Out Festival breaks ground by encouraging local Chinese chefs to create innovative dishes with fresh, local ingredients, while the public take part in enjoying them. The festival will feature award-winning Signature Dishes previously honored by the Chinese Restaurant Awards, such as Jade Seafood Restaurant’s smoked grandpa chicken, Alvin Garden’s tea smoked duck, and Rainflower Restaurant’s lamb rack in Chinese wine sauce. Besides Canadian seafoods, the festival will also shine a spotlight on Alberta beef and Alberta pork. 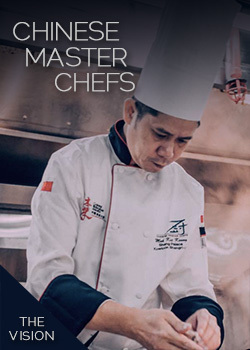 Many new dishes have been created especially for this festival, which includes a new variation of the traditional Chinese Dongpo Pork dish, made with Alberta pork, Amoy cooking sauces and designed by Shiang Garden’s executive chef P. Wing Leung. Diners can vote online for the Best Restaurant, Best Service, Best Dinning Environment and Most Innovative, all under the Signature Dish Dine Out Festival category in the upcoming Diner’s Choice Awards commencing this November. Eight critics from this year’s CRA judging panel will also taste the dine-out dishes from all 18 participating restaurants. For more info, see www.chineserestaurantawards.com.